Retinoids vs. Retinol: What’s the Difference? When it comes to skincare, the popular terms “retinoid” and “retinol” are often used interchangeably, but they are not one and the same. Retinoid is the generic term for all topical products that contain derivatives of vitamin A. Retinol is simply one example of a retinoid. Although these ingredients can be excellent additions to your anti-aging regimen, choosing the right retinoid product can be a bit confusing. 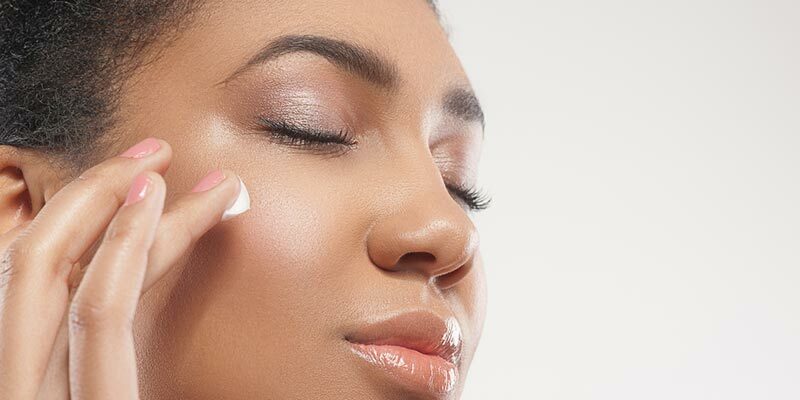 Here is an overview of some of the different types of retinoids and how to incorporate them into your regular skincare routine. Retinol is one of the most effective over-the-counter retinoids available. It, like other retinoids, works by accelerating the skin cell turnover rate and reducing collagen breakdown. Thus, retinol can be a very effective anti-aging ingredient to combat lines, wrinkles, and a dull complexion. Additionally, many people find that using retinol rather than a prescription retinoid helps to minimize irritation and flaking. Retinyl palmitate is another OTC retinoid that results in even less flaking and irritation than retinol, but the drawback is that this ingredient is typically not as effective as your other options. It does not penetrate well into the skin and has been associated with an increased risk of developing skin cancer in mice studies. Beta-carotene is the pigment that gives orange and yellow plants their color, including carrots. When you eat foods that contain beta-carotene, your body converts it into vitamin A, making beta-carotene also a type of retinoid (University of Maryland). One study found that topically-applied beta-carotene may help to improve the appearance of melasma, a skin discoloration problem that frequently occurs in pregnant women (Indian Journal of Dermatology, Venereology and Leprology). However, topically applied beat carotene does not penetrate as well as retinol and tretinoin. Retin-A (tretinoin) is one of the most popular prescription topical retinoids. It can be used to treat lines and wrinkles, mild to moderate acne, and hyperpigmentation. Although Retin-A can be highly effective at stimulating collagen production, it can also cause significant peeling and/or irritation. For this reason, it’s important that you gradually introduce it to your skincare routine (see general instructions below). Accutane (isotretinoin) is an oral form of retinoid that is used to treat acne. It is very effective but it’s use is associated with birth defects if the user is pregnant when taking the medication. It can also raise serum triglycerides and cholesterol levels necessitating the need for blood work before taking this medication and monthly. Differin (adapalene)– This is a second generation man made retinoid that was designed to be less irritating and more stale in light than tretinoin. It is now available topically over the counter but was previously a prescription medication. Tazorac (tazarotene)– This is a third generation retinoid man made retinoid that was designed to be more effective and more light stable than other retinoids. It is the strongest of the topical retinoid preparations. Apply the retinoid at night as your last step over your moisturizer. Wait about four days before reapplying to see how your skin will react. It takes 3-4 days for the side effects form the first application to become apparent. After waiting four days, begin applying the retinoid at night every third night. If, after two weeks, you don’t experience any side effects, bump up your application to every other night for another two weeks. If you’re still tolerating this routine well, start applying the retinoid every night. If you have sensitive or dry skin, you may need to stay at step four indefinitely, and that’s okay. It is better to progress more slowly than to struggle with side effects and end up discontinuing the product as a result. Retinoids, including retinol, can have a dramatic effect on your skin’s appearance. However, not all retinoid-based products are created equal, so the right choice for you will depend on your skin type. Sensitive types, for example, may need to start with a less potent concentration and work their way up to more effective products. Oily types will prefer a gel while dry types will prefer a cream formulation. Some skin types may require a combination product of a retinoid combined with other ingredients such as hydroquinone or ascorbic acid. The first step to choosing a retinoid is diagnosing your baumann Skin type using the scientifically validated questionnaire. Find an STS-approved doctor in your area to diagnose your Baumann Skin Type and recommend the right type of retinoid for your needs. Your doctor should also be able to provide you with detailed instructions for using a topical retinoid with minimal side effects. Dr. Leslie Baumann, M.D. and her team at Baumann Cosmetic Dermatology believe in proof, not promises. World-recognized for both cosmetic and general dermatology, our treatment strategies rely exclusively on evidence-based, scientifically verified products and procedures that promote skin health and a natural appearance. We combine effective medical procedures with individualized instruction on proper skincare, nutrition, supplementation and lifestyle in order to maximize the health of the skin and body as a whole while minimizing the effects of aging. For more, visit Dr. Baumann’s blog for daily updates Monday through Friday, or inquire about an appointment through Derm.net.